To cook rice using the absorbed method uses uses a specific ratio of liquid to rice and requires a heavy-bottomed pan with a tight fitting lid. The heavy bottom distributes the heat evenly and prevents a scorched bottom and burned rice. 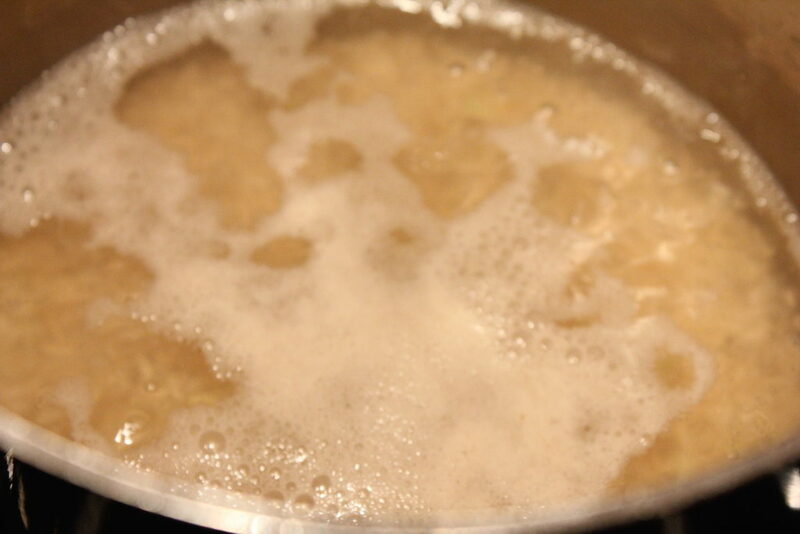 The tight-fitting lid keeps in the steam, essential to infusing the rice with moisture and gelatinizing the starch. Most white rice varieties cook perfectly with a ratio of two cups liquid to one cup rice. Basmati rice needs one and three-quarter cups liquid to one cup of rice. 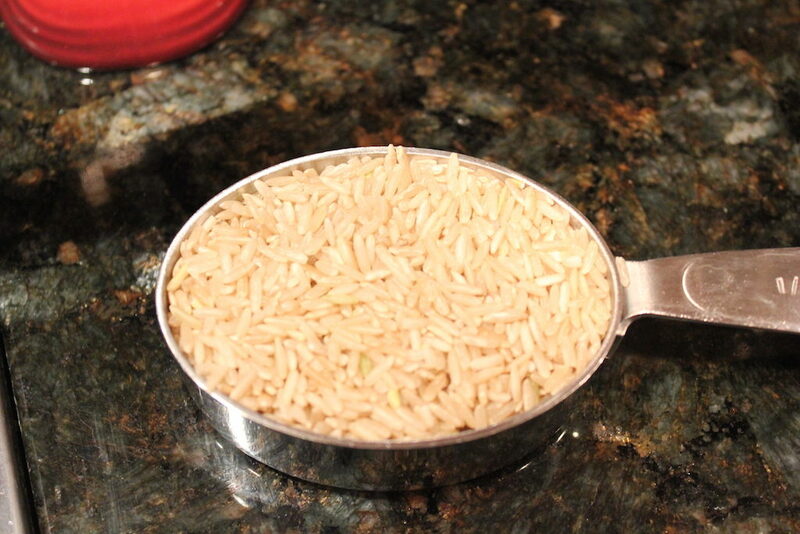 Brown rice uses two and one-half cups liquid to one cup rice. Rice expands to about three times its original size and one cup raw rice makes three cups cooked rice, so select a pan according to the size of the cooked rice. 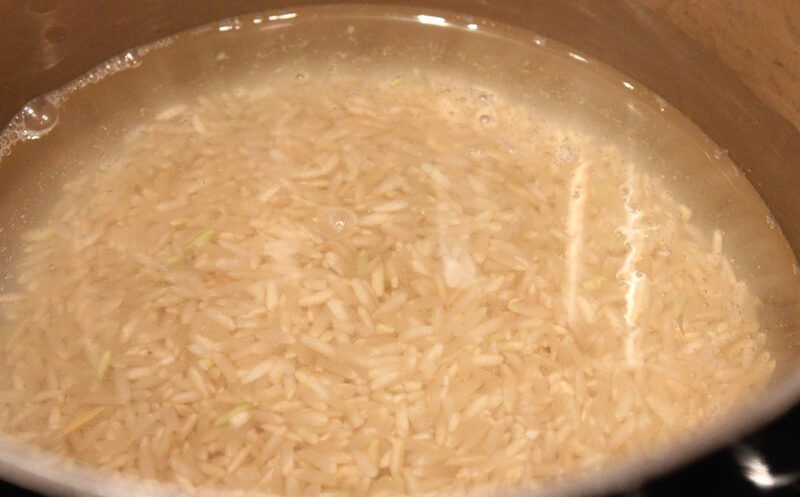 To use the absorbed method to cook rice, bring the cooking liquid (water or stock) and a pinch of kosher salt to a boil, stir in the rice, return to the boil, reduce the heat to low, cover and cook, without peeking, for the specified time on the package. Because steam is a part of the cooking process, it’s important not to remove the cover until the rice is almost done, check at the minimum cooking time, about 5 minutes before it’s done. 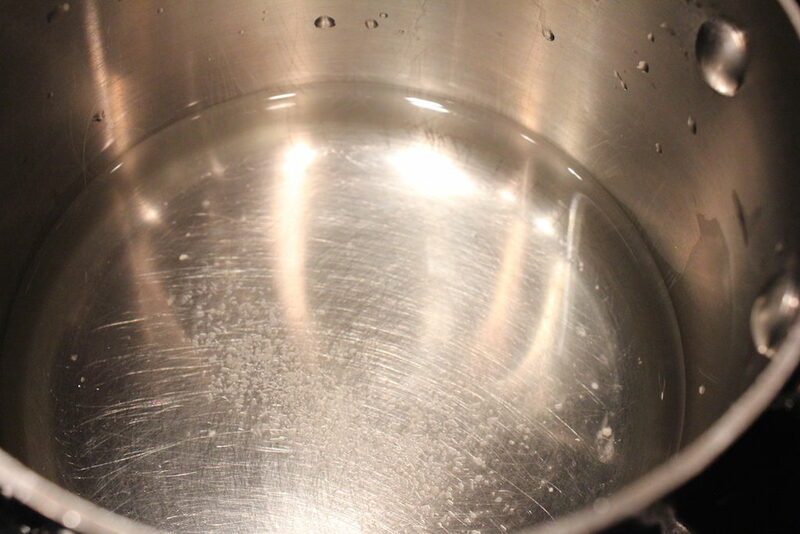 Continue cooking a few more minutes if there’s still liquid in the bottom of the pan. To add flavor to rice cooked with the absorbed method, sauté aromatics in a little oil or butter, add herbs and/or spices and then follow the recipe. 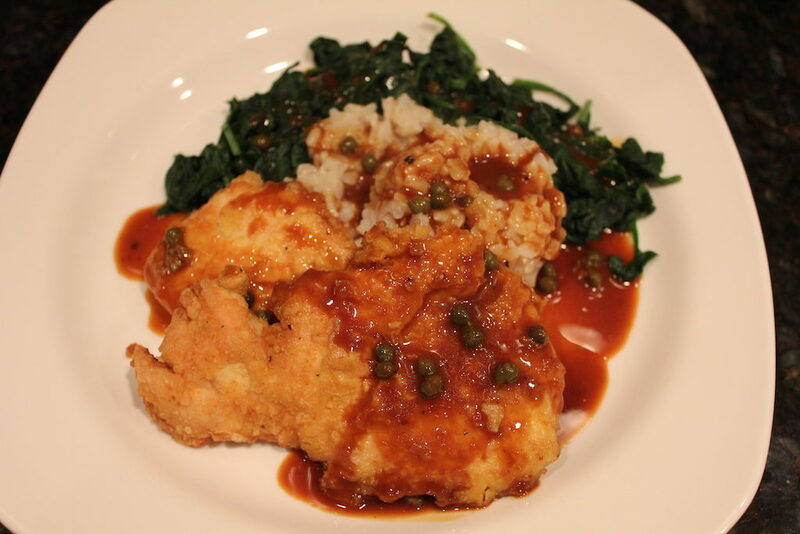 The rice I used for this post is Carolina brown rice, a long-grain rice, which was served with lemon chicken. I made plain rice covered in the flavorful sauce from the chicken. Reduce the heat to low, cover and cook according to package instructions. Steam is an important part of the cooking process, it’s important not to remove the cover until the rice is almost done. Check the rice at the minimum cooking time. 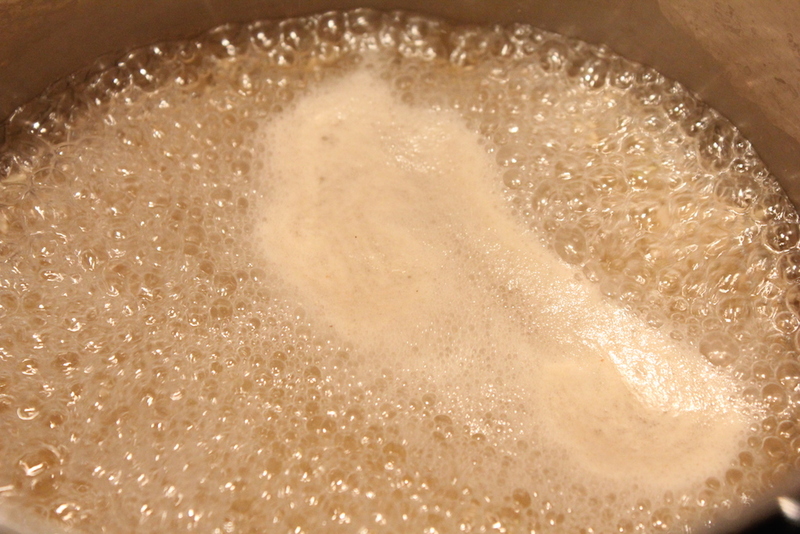 Continue cooking a few more minutes if there is still liquid in the bottom of the pan.